Below you can view all the homes for sale in the Cherry Creek Village subdivision located in Greenwood Village Colorado. Listings in Cherry Creek Village are updated daily from data we receive from the Denver multiple listing service. To learn more about any of these homes or to receive custom notifications when a new property is listed for sale in Cherry Creek Village, give us a call at 720-580-6828. Open house 4/6 from 10am-4pm and 4/7 from 12-4pm. MLS#8890855. Equity Colorado. Enjoy a cup of tea or glass of wine & take in the “Views” of Cherry Creek State Park! MLS#8692222. Kentwood Real Estate Cherry Creek. 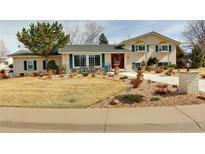 Quiet neighborhood within a short distance to Cherry Creek High School. Home is in great condition! MLS#8588580. RE/MAX Masters Millennium.